2018 highlights — covering the reporting period Oct. 1, 2017 to Sept.
goes to market with new offerings. include 43 of the Fortune 100. VSM consulting practice, noted above, led by DeArdo. least three tools and four artifacts. (DevOps) development environments into real digital business drivers. 2018 included PTC Integrity, Git and Sparx Pro Cloud Server. whose London release adds support for customers’ SAFe 4.5 initiatives. Ready to Rocket List in the IT sector. 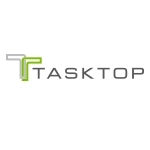 information about Tasktop, please visit: http://tasktop.com.